Cooking for one can be difficult because most recipes makes at least 4 servings. Grocery shopping can be challenging because ground turkey, chicken, etc. come in packages meant for a family. In order to save money and time, your freezer should become your best friend. I’m not sure why it took me so long to realize this but it has made a world of difference in the amount of food I throw away and having convenient, healthy meals. I spent today making a batch of my WW Turkey Chili and Slow Cooker Lasagna– both of which make about 6-8 servings each- just so I could portion them out into individual tupperware and freeze them to have on hand for the next few weeks. Both recipes freeze very well and it’s like having a homemade, healthy frozen meal at my finger tips. All I have to do is grab the tupperware from the freezer and defrost it for about 20 minutes and I have a meal ready to go! Buying meat in bulk can be a great way to save as well. I had tried to freeze meat a ton of times but always ended up with freezer burn. 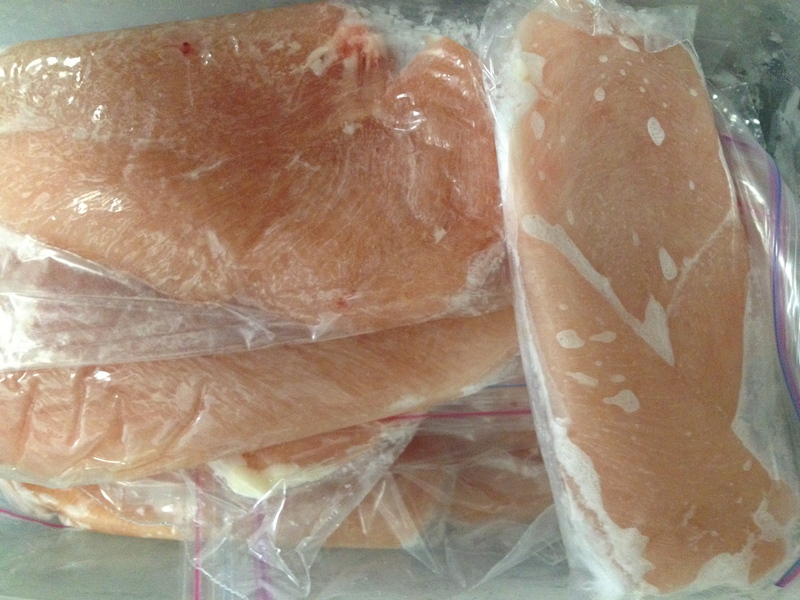 My solution is to individually bag each chicken breast (or steak or whatever you need to freeze). Make sure you remove all the extra air from the baggies and that the meat if laying flat (this way it will defrost evenly). To finish it off and protect it even more, lay all the baggies in a tupperware and seal tightly. This way, you have individual portions whenever you need them! I also pulled some chicken out to make the recipe tomorrow! 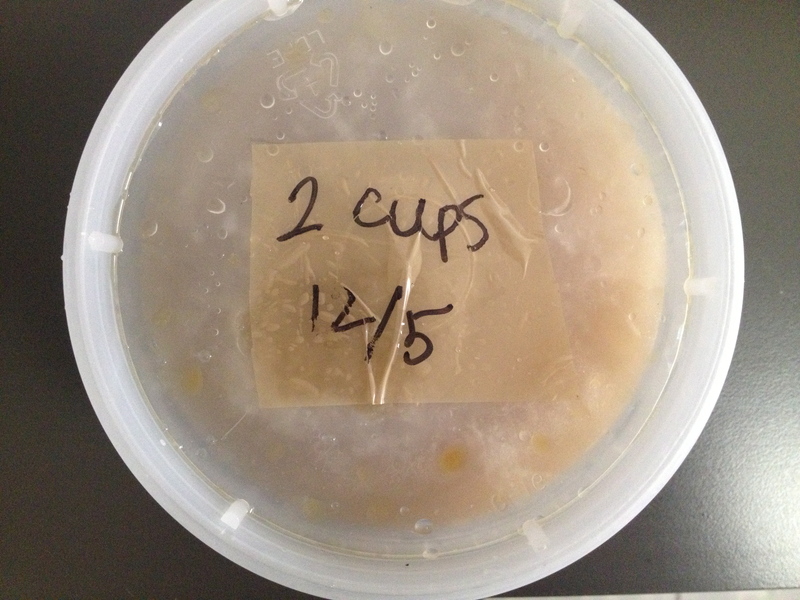 Utilizing your freezer to its full capacity can save you a ton of time and money! I also wanted to add in a picture of the chili I made today. 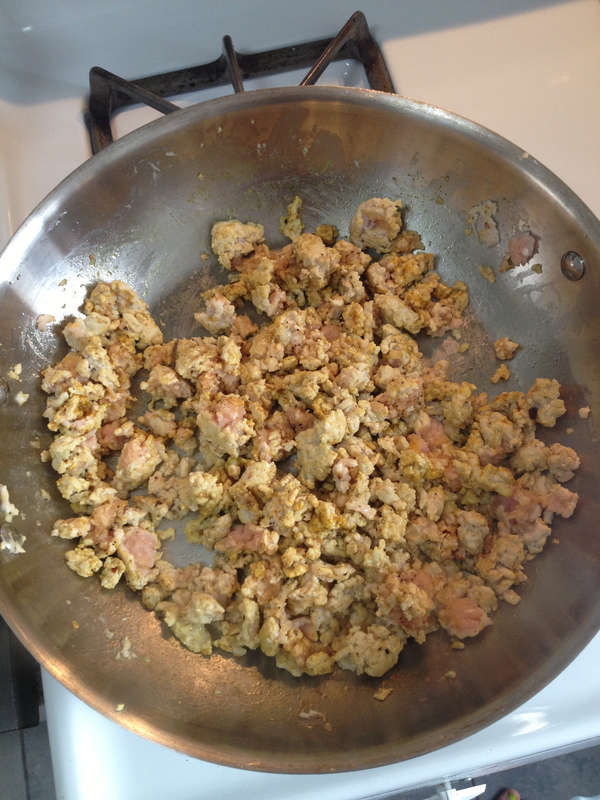 I tried something a little different by adding in about a tablespoon of curry powder. We’ll see how it goes! Stay tuned! This entry was posted in Misc. and tagged 7 points, 8 points, 9 points, healthy, Ina Garten, Monday, vegetarian. Bookmark the permalink.